If you want to give your bathroom a fresh new look, the good news is you don’t necessarily have to involve builders, plumbers or DIY experts. By changing a few key details you can benefit from a beautiful makeover. Don’t think you have to spend a fortune to make a difference to your bathroom. Check out these six quick and cheap ideas for revitalising the smallest room on a tiny budget. Change the mirror to make a big difference to the look of the bathroom. A vintage-style mirror looks great when it is freshly painted or sprayed with varnish. Or switch a mirror in the bedroom with the bathroom mirror to ring the changes. You could also add more art work or replace the art you already have in the bathroom – it is not expensive to print some of your favourite photos or use pictures from magazines in cheap frames. Clean up and change the small items you display on your countertops by placing them in new bowls, cups, vases, or jars. Look through your cupboards to find containers you already have in your home, or buy some new from a budget store or a second-hand shop. Pay attention to what you are displaying in your bathroom and try to cut clutter – some items like packs of aspirin and shaving gel should be stored in a cabinet behind closed doors, while other items like glass bottles filled with bubble bath or fancy makeup items, can be displayed with style. The table lamp that is going to waste in your bedroom could make a real impact in your bathroom. A table lamp with a fabric shade looks great in an antique-styled, vintage bathroom with a freestanding bath. To push the look further, take a small side table from elsewhere in the house to hold books, a mug of coffee, or a selection of cosmetics. Do your tiles look a little tired? 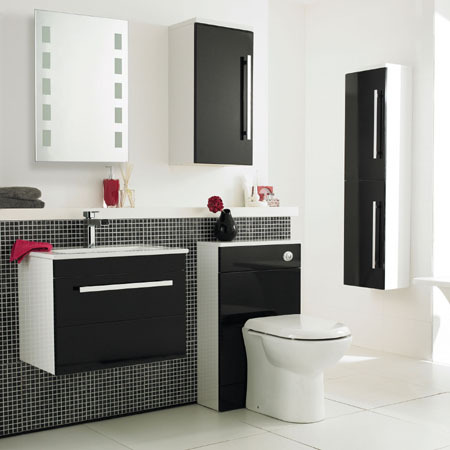 One of the quickest ways to instantly update and revitalise the bathroom is to replace areas of tiling with new tiles. You don’t have to tile the whole room – small areas of vibrantly coloured tiles work well to create a warm and welcoming space. Take a look at the stone wall tiles at www.jrstone.co for some ideas. Match the new tiles to a brand new shower curtain. You can find some wonderful designs that are inexpensive to purchase but will make your bathroom look like a whole new room. While you’re at it, replace that shower curtain liner and get a new one. 6. What Does Your Bath Mat Say About You? Take a look at the bath mat and if it’s threadbare, tired and faded, replace it – it’s giving the wrong impression about the room and its owner. You don’t need to limit yourself to bathmats from the bath store – rugs and wooden stands are innovative and stylish.